At least 2 $500 scholarships will be awarded to PTSA Student Members. 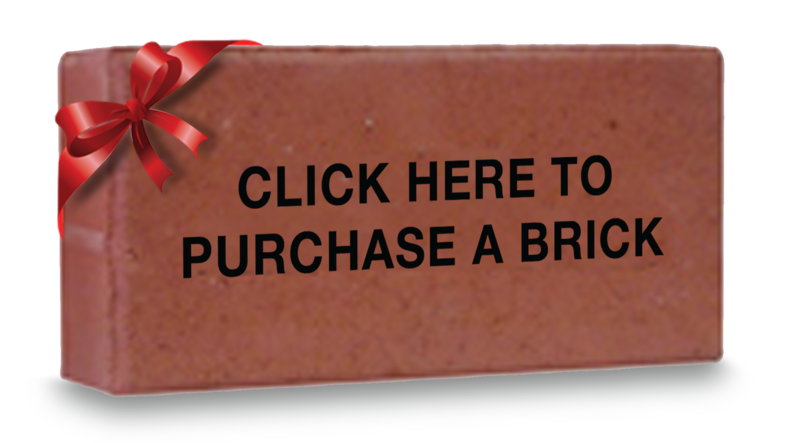 Don't want to purchase a brick? 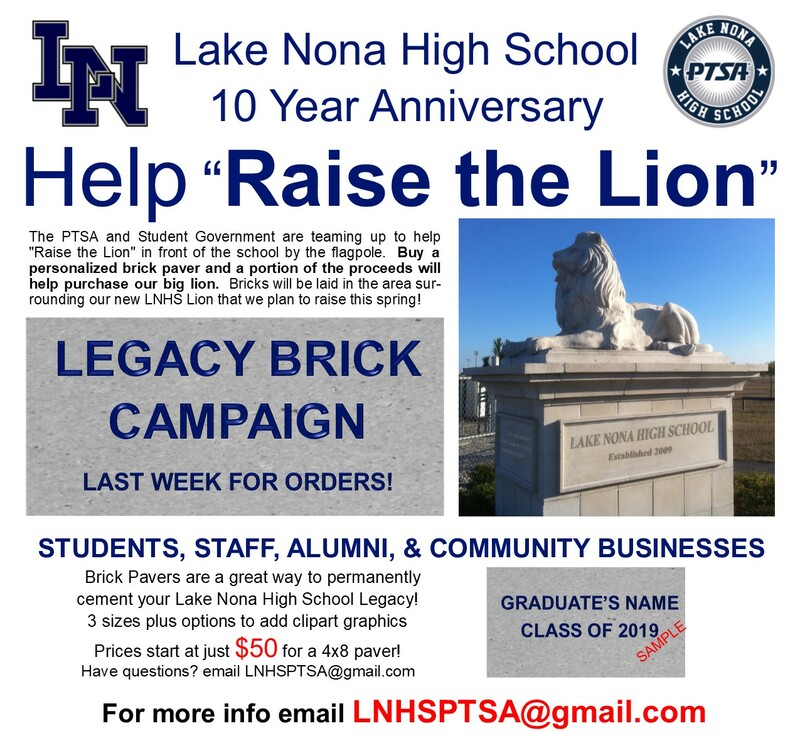 Click HERE to Donate to "RAISE the LION"
Your Lake Nona High School PTSA would like to invite you to reconnect this school year by joining our PTSA. Become a member by clicking here, downloading an application here or by picking up a membership application at our next PTSA meeting.